Love for the Industry. 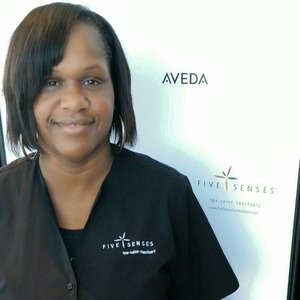 I chose to work in the cosmetology industry because I like to make people look and feel good. Proudest/Funniest Moment. My proudest moment at Five Senses is when we won the Top 200 award. Caitlin falling down was one of the funniest moments at Five Senses. Interests. While I am not at Five Senses, I enjoy spending time with my 4 children.